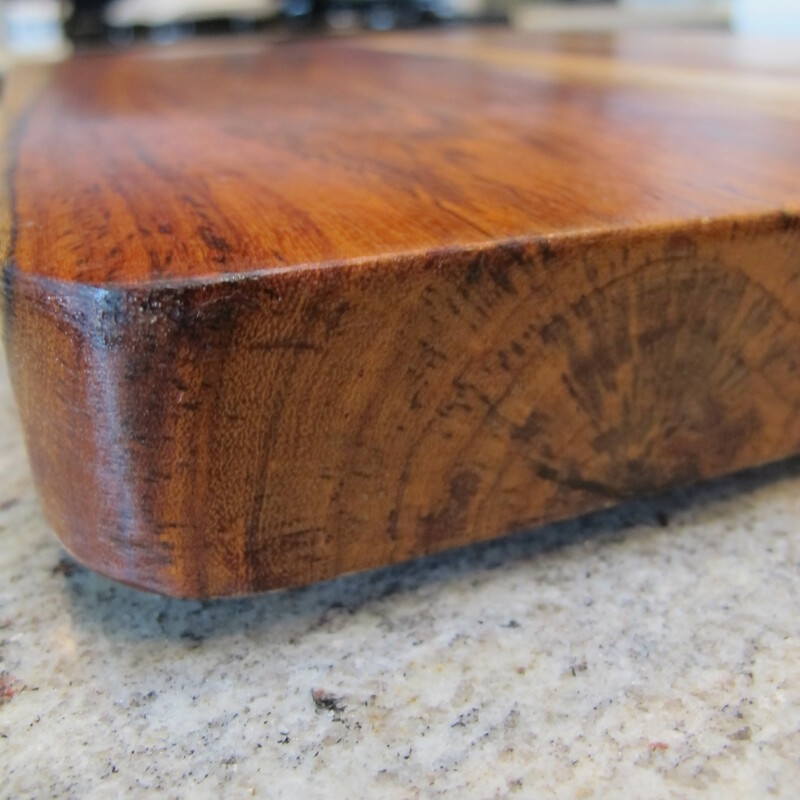 We love keeping a chunky wood cutting board on our counter at all times. Both for looks and function. 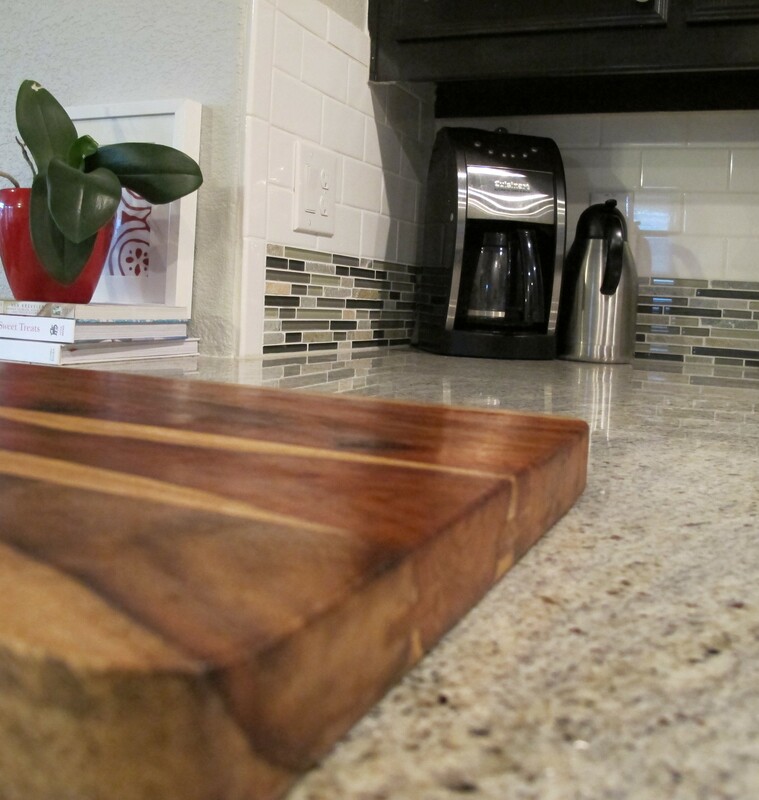 The warm tones of the wood add a cozy layer to our shiny light granite and tile backsplash. 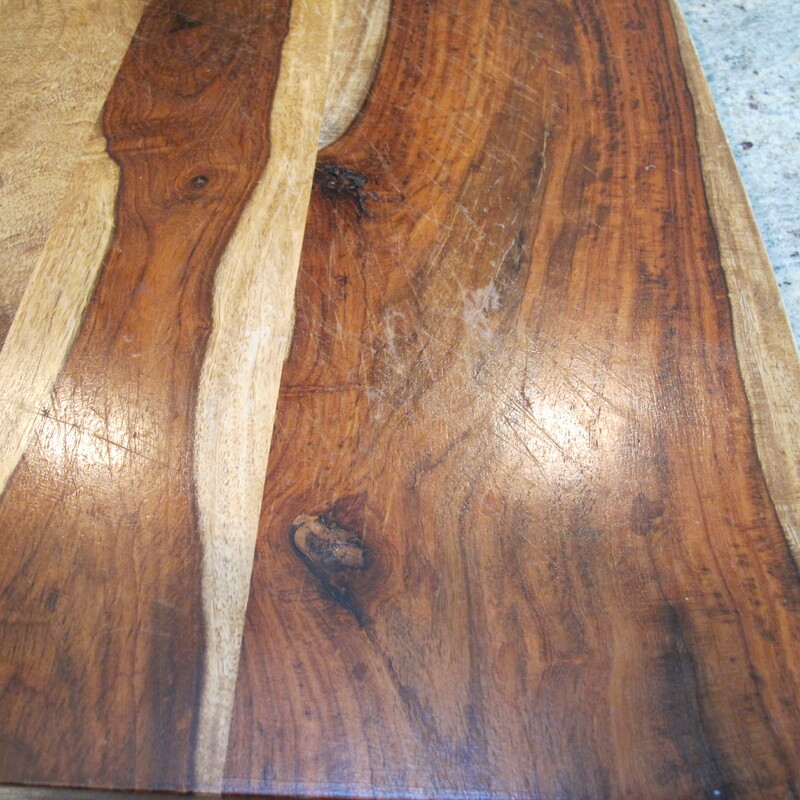 Plus, it’s a nice useable surface that only seems to gain character with age. There’s some maintenance involved in keeping the board in tip-top condition, but nothing too strenuous. First, we never cut meat on it for health purposes (bacteria can easily hide in the nooks and crannies, and let’s face it, salmonella is no joke. 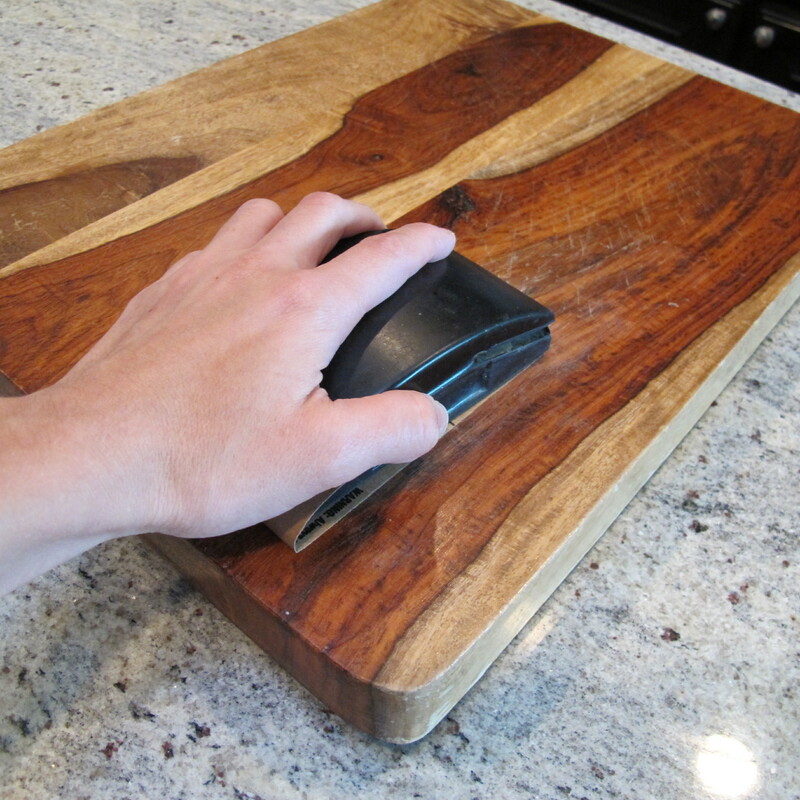 We keep a plastic cutting board for this purpose). We wash our wood board regularly with dish soap and water, and oil it occasionally to replace the moisture that can be lost with routine use. And this is the topic of conversation today…. It all started at a big-box store (who will remain nameless). 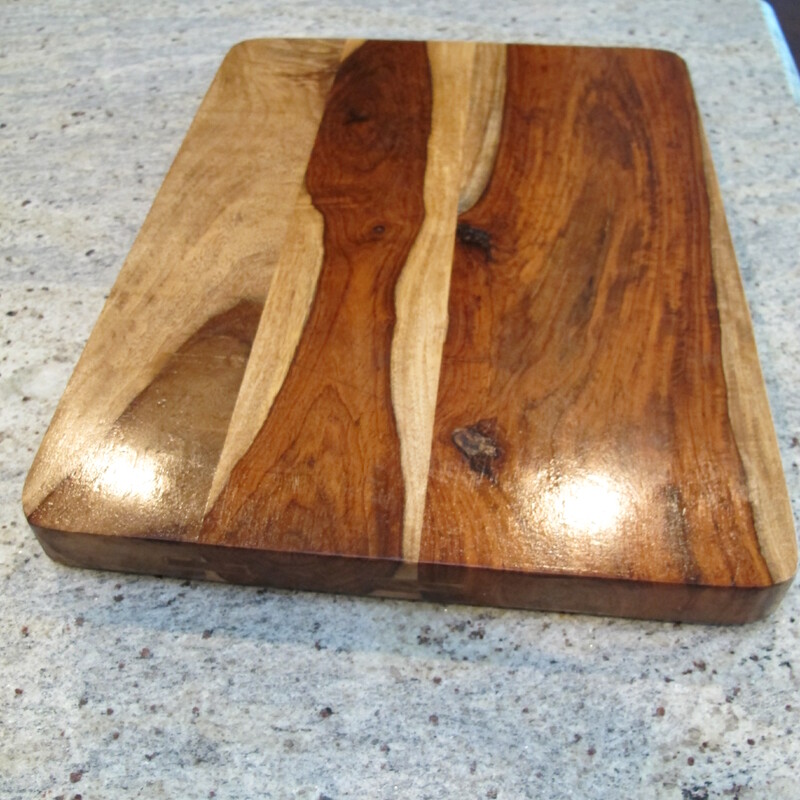 I was on the hunt for something to moisturize/protect our wood cutting board. Then, I found it. 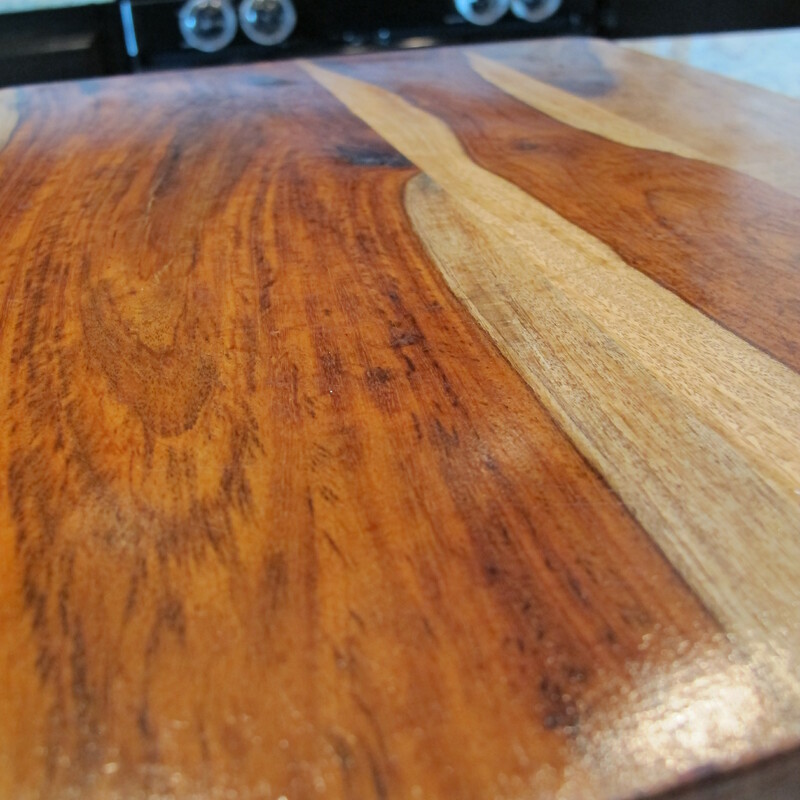 Bamboo/Cutting Board Oil. Simply rub on, let it soak in, wipe off excess. Hmmm, okay. Easy enough. It cost about eight bucks. Then, I looked at the ingredients. “Mineral oil”. Mineral oil?? As in…. mineral oil? They’re charging eight bucks for mineral oil??? 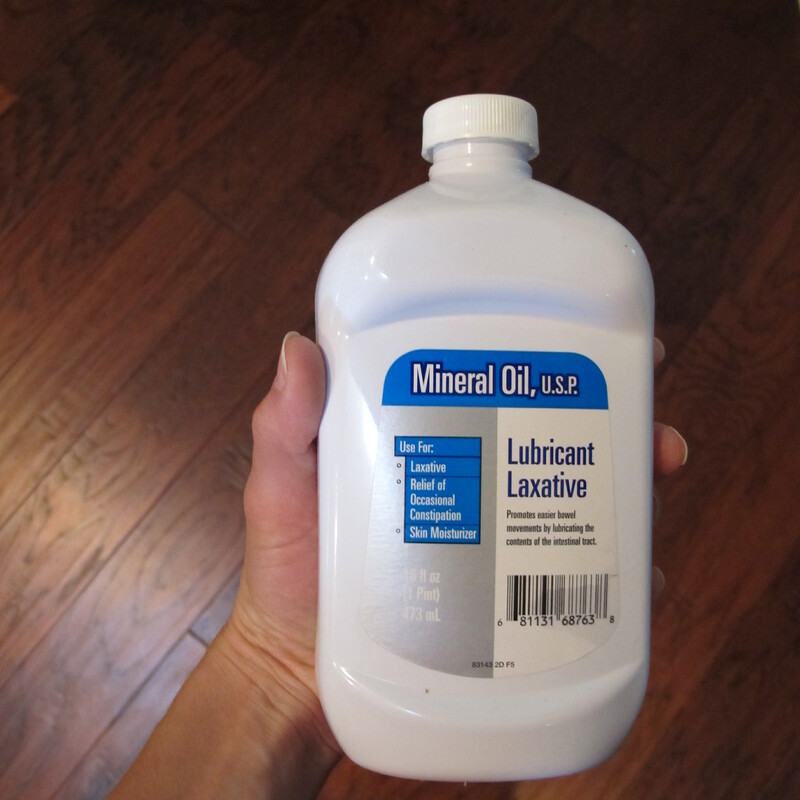 Mineral oil is sold for under 2 bucks in the laxative section of the grocery store! Oh, the difference marketing makes. I did some research just to make sure it was the same stuff, and from what I gathered it was. So, I bought this…. And have been using it ever since. It works like a charm. I only oil my board every so often. When it starts looking like this…. Note the dry areas where cuts have been made. I begin by washing the board with soap and warm water, then allow it to dry thoroughly (usually overnight just to be sure). If the board is relatively smooth, I go straight to oiling, but this time it was pretty groovy (and not in a good way). So, I used fine grit sandpaper (220 grit) to lightly sand the surface. I never sand enough to remove all the knife marks. I feel like doing so would remove too much wood. Plus, I think the knife marks add character. I just sand enough to smooth out any elevated ridges that have popped up while cutting. It usually only takes a few passes with the sanding block. I thoroughly wipe off all of the sanding dust. Then, using a clean rag, I rub on a healthy dose of mineral oil (and add a second liberal coat if the wood soaks up the oil quickly), let it sit for several hours to penetrate and then wipe off the excess. Wow! Never thought of that! Another great idea! Can I borrow your mineral oil?